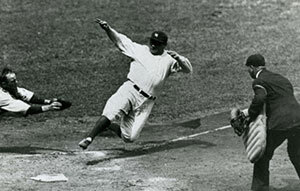 Babe Ruth is arguably the best professional baseball player in the history of the game. Ruth holds a number of phenomenal records including a stunning career batting average of .342 and a home run record that has only been surpassed by a few since his time. However, Ruth was also hugely concerned with charity, establishing the Babe Ruth Foundation. The Babe Ruth Foundation was set up as non-profit initiative with all proceeds going towards the betterment of the quality of life that disadvantaged children experienced in Maryland. The organization is committed to celebrating and preserving the sports heritage of the state and the legacy of the legend himself. 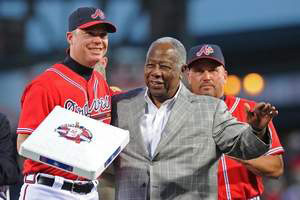 If ever there was a 'good guy' award in baseball, Hank Aaron would surely claim it. Aaron has spoken of the importance of setting up well-structured and well-planned charity organizations, in the pursuit of enriching the lives of underprivileged societies and minority populations, on numerous occasions. Aaron established the Hank Aaron Chasing The Dream Foundation in the year 1994, that was intended to support talented and ambitious youth to pursue a career in baseball. He also co-founded the World Children's Baseball Fair initiative, along with fellow great Sadaharu Oh in the year 1989, with the organization becoming widely recognized for its efforts in engendering principles of teamwork, camaraderie and inclusion on a global scale. Most people can recite Barry Bonds' career statistics on request. Such was the prolific career that Bonds had, evidenced by his inclusion into Baseball's Hall of Fame. However, few are aware of the notable contributions that Barry Bonds made towards improving the quality of life that the African-American youth experienced within communities in the Bay Area. 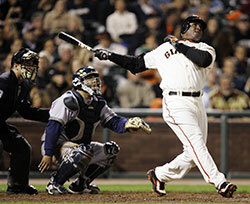 Bonds set up the the Barry Bonds Family Foundation in the year 1993 that struggled in its initial years for funding. However, Bonds remained untroubled, and at one point invested his own personal wealth into the initiative to keep it afloat. Today, the foundation is thriving, with the Link n' Learn project, its most notable initiative aimed to aid students of poor academic standing coming from low-income families. The project integrates methodologies of individual tutoring with access to interactive technology, as well as high emphasis on parental participation in a child's development.